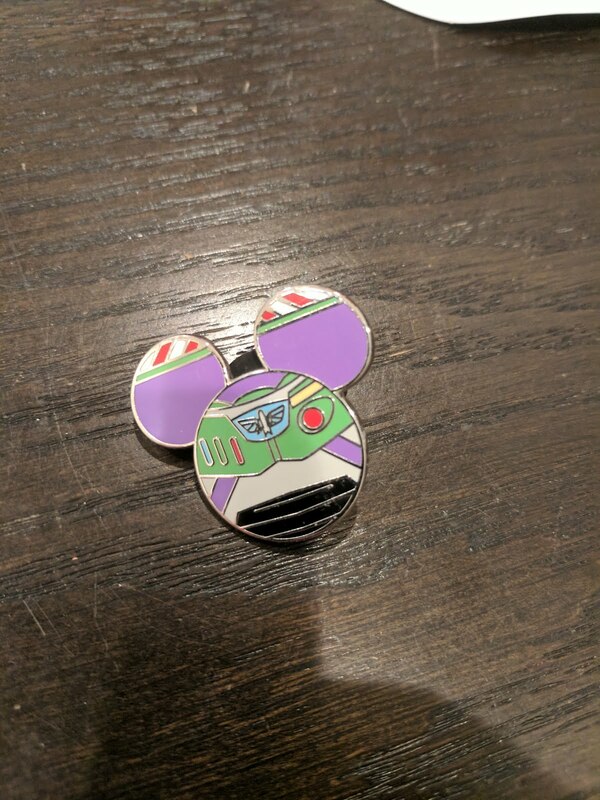 One of the pin-types that I trade for at the parks are these Mickey head-shaped ones that you can see above. This one, in particular, is of Buzz Lightyear, but they have them in a bunch of designs like cast-member outfits and various characters. This one is the second of these that I've featured here in this shape, the first of which was this Sally from Nightmare Before Christmas. The King of the Ball Tossers loves him some Buzz Lightyear - in fact - he uses "To Infinity...and Beyond!" as a rallying cry for just about everything he does. Jump into the pool? To Infinity and beyond! Go down the stairs? To Infinity and beyond! But is the pin for him? Nope. Don't think so. Going to go on *my* board, which I'm hoping we'll hang at some point in my home office.